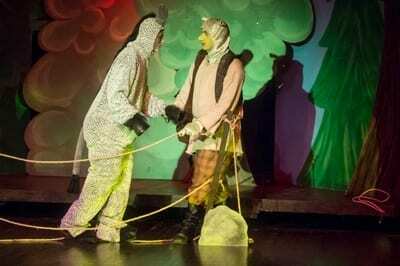 Here at Costume Holiday House, we always try to stay on top of the game. 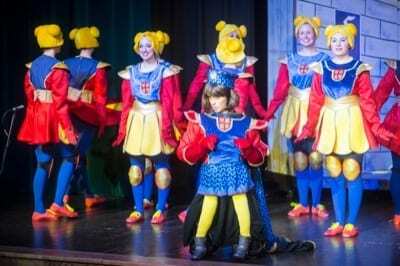 Through collaboration with several licensing agencies, including Musical Theatre International, we are able to find out which plays and musicals are becoming available, and which ones are going to be popular. 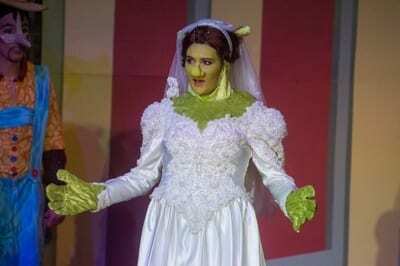 Last year, when we found out that Shrek the Musical was going to be released, our head costume designer began researching the show. 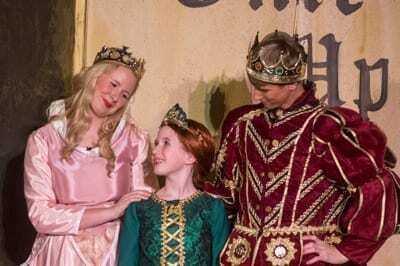 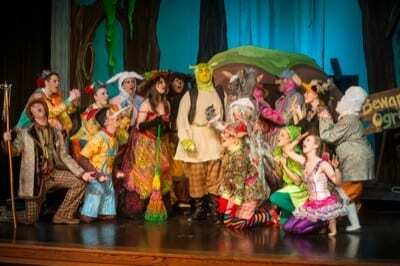 She was able to collaborate with the director at Celina High School in Ohio, to come up with a professional, yet functional, set of costumes for the show. 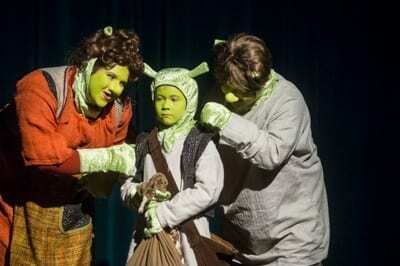 Little Shrek surrounded by the Happy People of the chorus. 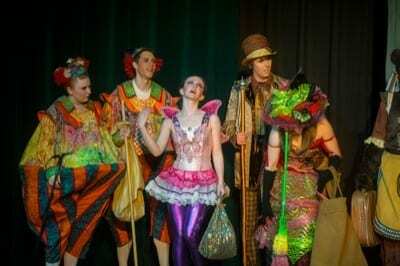 Tweedle Dee & Tweedle Dum, the Sugar Plum Fairy, the Mad Hatter and a Witch! 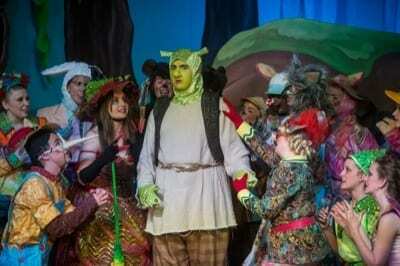 Shrek surrounded by Fairytale creatures including: Mad Hatter, the Tweedles, Pinocchio, White Rabbit, Witch, the 3 Bears, the 3 Pigs, Big Bad Wolf, Cobblers Elf, Peter Pan, Sugar Plum Fairy, Ugly Duckling and Humpty Dumpty! 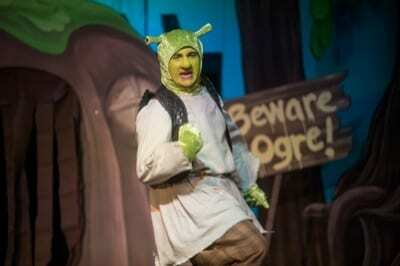 For more information about renting costumes for Shrek the Musical, fill out our inquiry form or download our free theatrical rental packet. 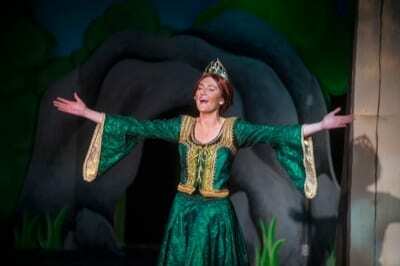 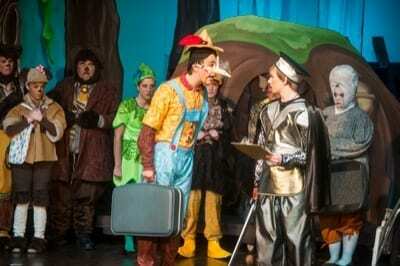 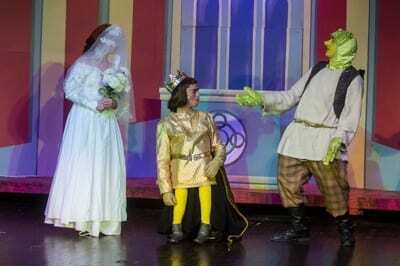 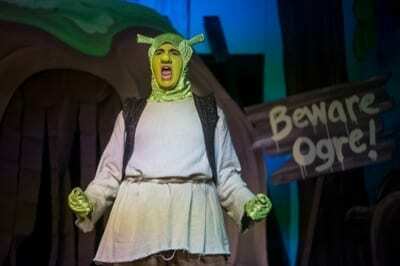 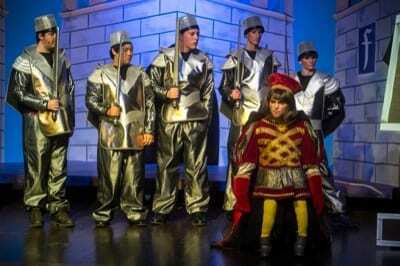 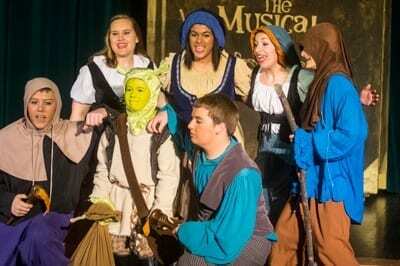 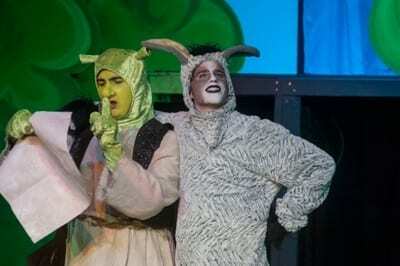 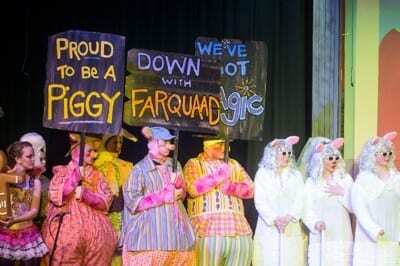 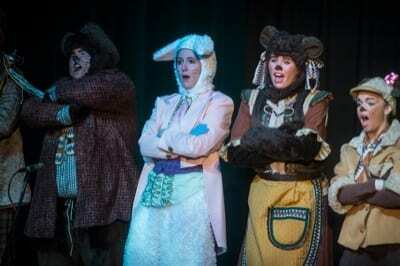 For more information about Shrek the Musical, visit MTIâ€™s Shrek webpage.